A picture of the famous cartoon character Yogi Bear was posted on the Washington County Sheriff’s booking web page last week. 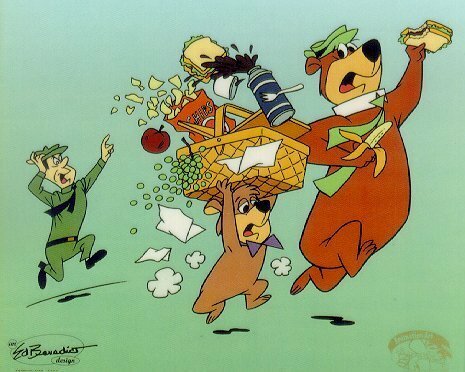 No reason was given for his apparent arrest, although Yogi has been known to pilfer picnic baskets. Deputy Graham Hancock said the picture is occasionally used as a placeholder while new employees are being trained on processing new inmates into the Purgatory Correctional Facility. Dr. Seuss’ Grinch is often arrested for the grave crime of stealing Christmas. The page reported that Yogi was arrested in Zion National Park on a federal warrant.